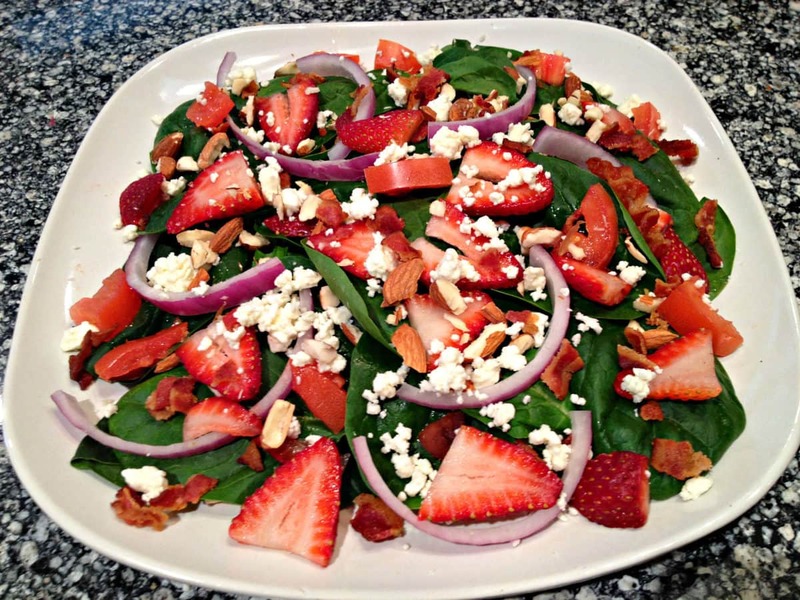 In a large mixing bowl, combine spinach, bacon, tomatoes, feta cheese, almonds, red onions, and strawberries. Toss until all ingredients are well mixed. thank you…had the Strawberry spinach salad with Balsamic Vinaigrette for lunch today and it was delicious.. I replaced the almonds with pine nuts and it was just right. In the balsamic recipe assume the 2 tbs of peace and love is not actually an ingredient.